John Dolan, Editor of the Holly Bough newspaper has been named January Cork Person of the Month. The Holly Bough, published by the Evening Echo, a famous Cork tradition since 1897 tells the stories that delve into the memory banks of Corkonians and is as part of Christmas as Santa and Christmas Turkey. John Dolan, Assistant Editor and Features Editor at the Evening Echo, said it was a great honour to take over as Editor of the Holly Bough back in 2002. “The Holly Bough, even though it has input from professional writers and historians, contains, in essence, stories that are written by ‘ordinary’ Cork people who have extraordinary stories to tell. It is written by the people, for the people.” said John at the award presentation. “Circulation of the Holly Bough has bucked all trends in print journalism by tripling and expanding its size from 60 pages to a 164-page full colour publication. It is indeed a 122 year Cork institution that is part of all of our lives in Cork and even follows us abroad when necessary. There is a great tradition of sending the Holly Bough abroad to the Cork diaspora and locals also bring it abroad on summer holidays for a selfie and get their holiday snaps published in the Holly Bough at Christmas” added awards founder and organiser Manus O’Callaghan. John Dolan, born in Cheshire, now lives in Carrigadrohid near Macroom. He spent many years working in print journalism in England on newspapers such as the Lancashire Evening Post and the London Metro. He moved to Cork in 2001, and with the backing of Evening Echo chief executive, Dan Linehan and editor, Maurice Gubbins, was appointed editor of the Holly Bough a year later. 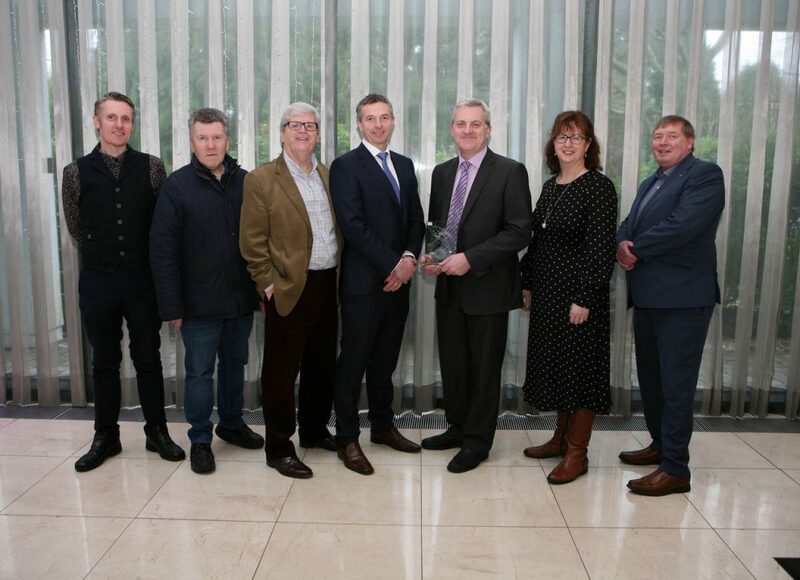 His name now goes forward with the other Persons of the Month chosen this year for possible selection as Cork Person of the Year at a Gala Awards on 17th January, 2020.